The $28.3 million contract calls for the construction of a new bridge over the Christina River to the Wilmington Riverfront and U.S. 13. 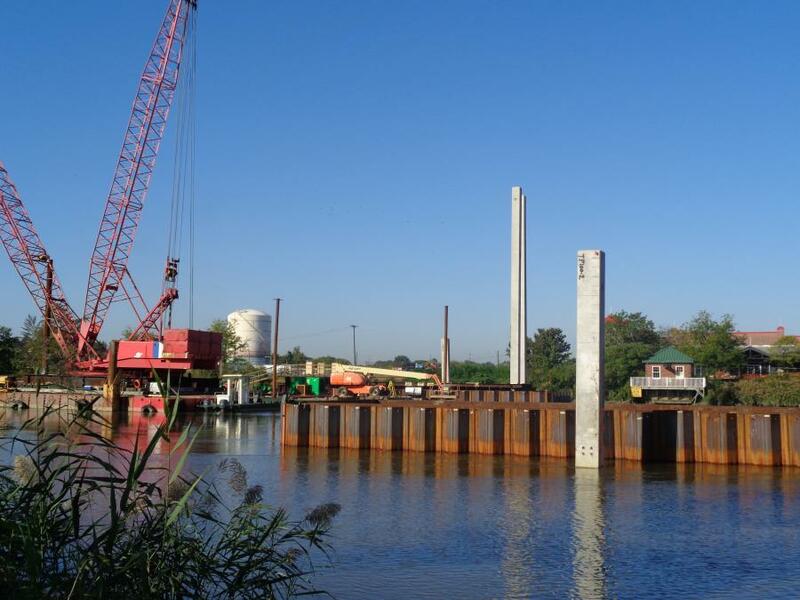 The first spliced prestressed bulb-tee girder bridge in Delaware is currently being built near Wilmington under the direction of the Delaware Department of Transportation (DelDOT). 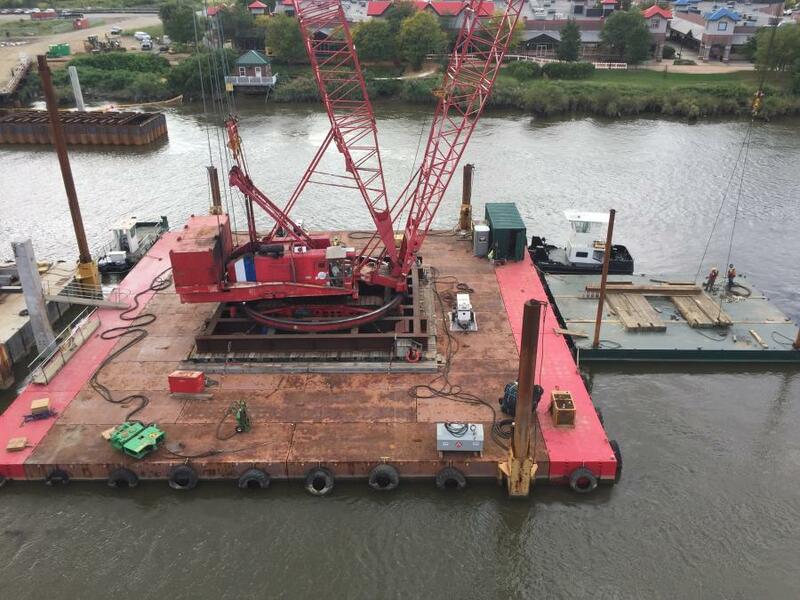 The project creates a new multi-modal crossing of the Christina River to add another access point to Wilmington Riverfront attractions. It also will improve access to U.S. 13, I-495, and I-95. 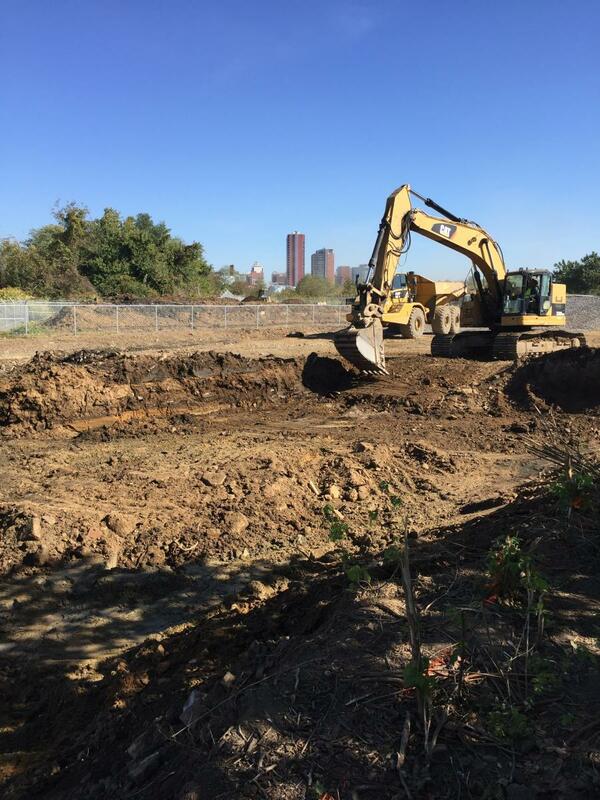 The project began in May 2017, and will continue through the spring of 2019. 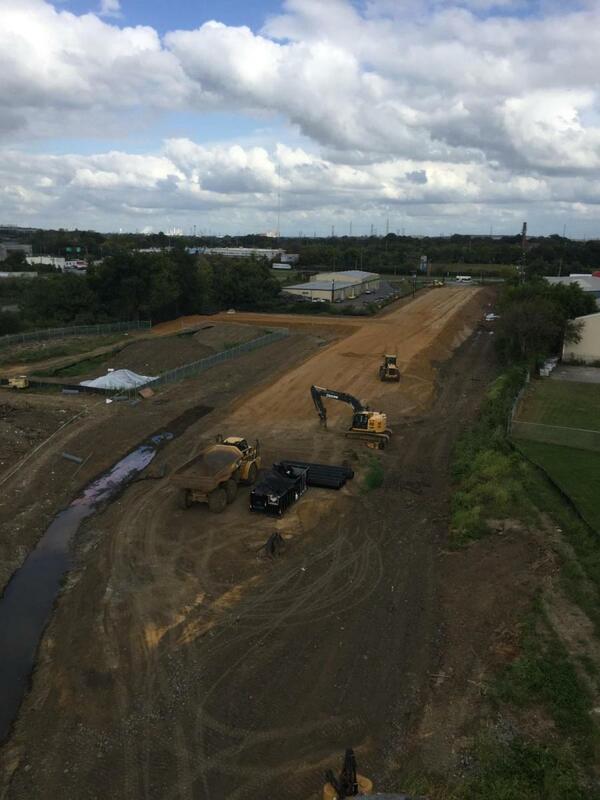 According to Jason N. Hastings, M.C.E., P.E., state bridge engineer of DelDOT, it is currently on schedule. 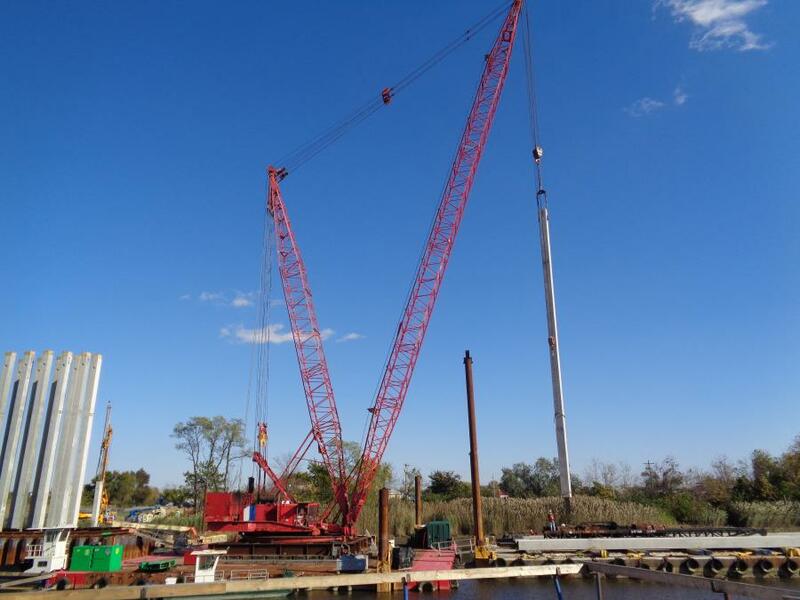 The $28.3 million contract calls for the construction of a new bridge over the Christina River to the Wilmington Riverfront and U.S. 13. The contract was awarded to RE Pierson Construction Company of Woodstown, N.J., with Nick Hetrick in charge. The bridge will include two 12-ft. travel lanes and shoulders, as well as a 14-ft. wide bicycle/pedestrian path. The path is will connect to the Riverfront walkway and other bicycle/pedestrian facilities in the area. 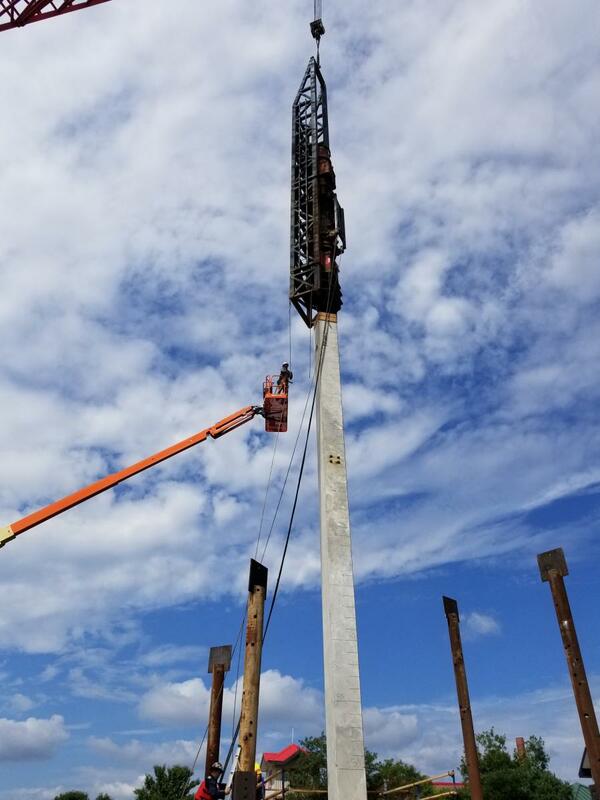 Another challenge noted by Hastings was the erection and setting of the spliced prestressed bulb-tee girders, which required additional supports, detailed erection design and plans, splicing design, and post tensioning. The aesthetic nature of the bridge was another issue noted by Hastings. This includes the extensive use of Formliner concrete on all of the exposed bridge elements. It will be stained to look like natural rock. There also is an extensive decorative lighting package. Hastings reported that the project includes 12,100 cu. yds. of excavation, 22,000 cu. yds. of borrow import for the embankment, 3,500 cu. yds. of concrete, and 800,000 lbs. of rebar. In addition, there are 69 – 24 in. 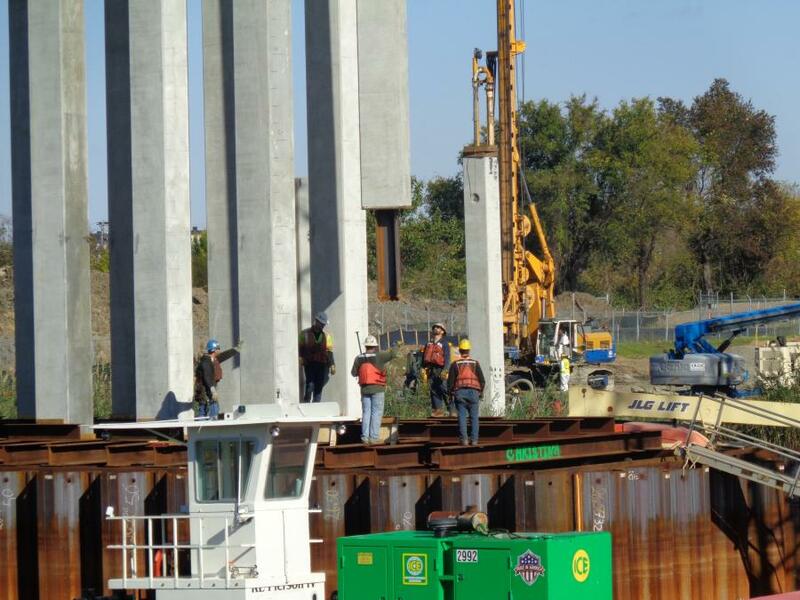 prestressed concrete piles averaging 80 ft. in length and 52 – 30 in. 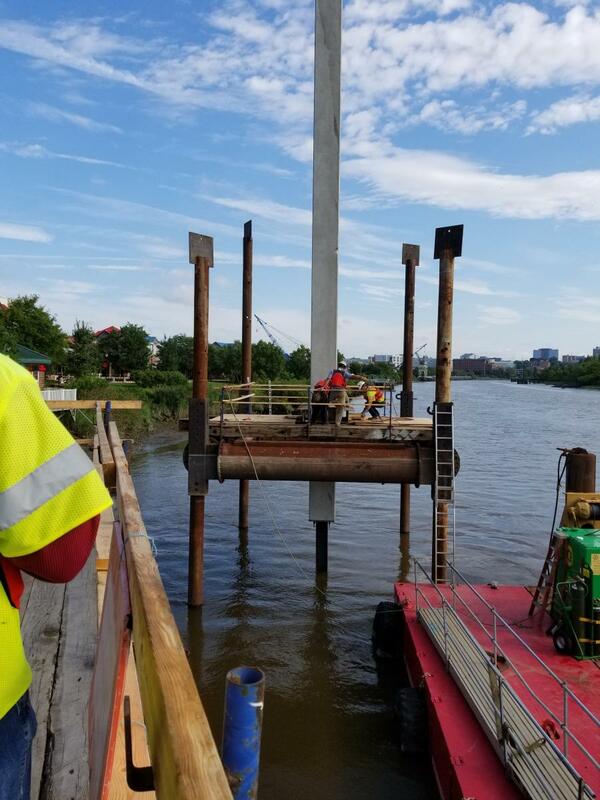 prestressed concrete piles averaging 100 ft. in length. Also included are 1,300 cu. yds. of expanded polystyrene embankment; 1,900 sq. yds. 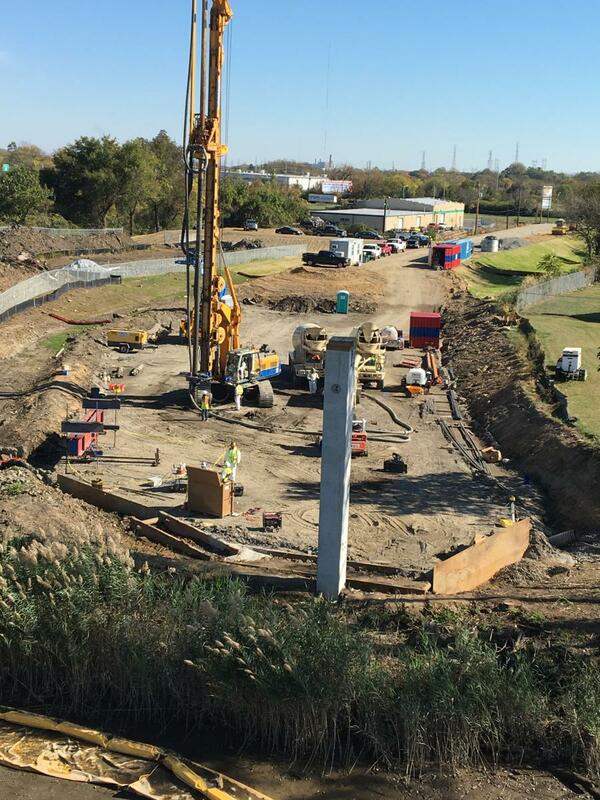 of CMC rigid inclusion ground improvements; 340 linear ft. of MSE wall; and 8,000 sq. ft. of Formliner.